I was born and raised in Canada, with a minor stint mid-elementary school in the United States (job transfer for my dad). Aside from a briefly altered accent, courtesy of Tennessee, my upbringing was quintessentially Canadian. But below the surface, there were also Scottish influences at work. I just didn’t recognize it. After all, I reasoned, I was your average, typical, garden-variety, ‘normal’ Canadian. 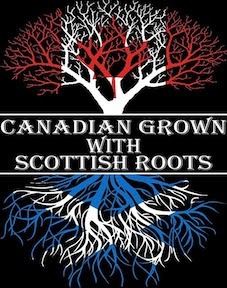 But with (unrecognized) Scottish roots. For example, my mother used to play pipe ’n’ drum records on the living room stereo when I was quite young, at impressive volumes. I naturally assumed all Canadian kids grew up hearing the melodic allure of the bagpipe. How else to explain my instinctive love of playing in a Celtic-rock band, many years later? Some strange genetic connection with jigs and reels, I guess. The roots that run deep inevitably reveal themselves above-ground. The same is true in our spiritual lives, as well. The most obvious is the polarization between those who believe that all of the gifts are still in operation today (continuationists) versus those who insist that certain gifts were restricted to the early church (cessationists). The other outcome is the pendulum swing that many followers of Jesus have taken over the years: what began as a sincere hunger for discovering and using the Spirit’s gifts (and the excitement of seeing God at work) later cooled off and, at times, shriveled into a functional cessationism (believing in the gifts but not practicing them). Everyone’s story and experience is unique, of course, but a common denominator among those for whom initial enthusiasm for the gifts of the Spirit has faded away is not the gifts themselves, but often the character of those exercising the gifts. For example, anyone with unresolved anger issues will have a hard time bringing a prophetic word that “strengthens and encourages”. Their anger will (dis)color the expression of their gift. 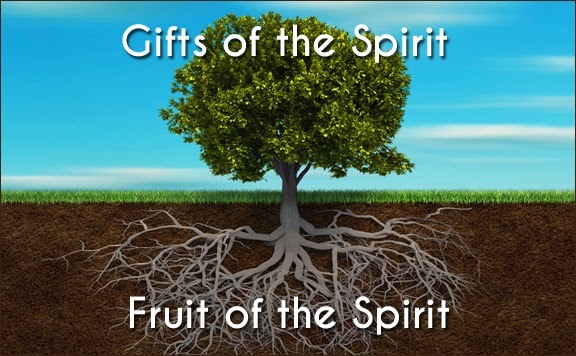 Pride and finding one’s identity in spiritual gifts, rather than in Jesus, will also taint the use of the gifts. Ditto for the (worldly) ambition to be in the spotlight. Etc. It may not be obvious at first, but what’s in the root system will leak out eventually. Expose enthusiastic young believers to enough people who are more concerned with their gifting than allowing the Spirit to refine their character, and the outcome is inevitable: disillusionment, withdrawal, and functional cessationism. So, for the sake of the Body, let’s tend to our roots. I’d like to suggest that we humbly choose to seek the Spirit as fervently for His character as for His gifts.